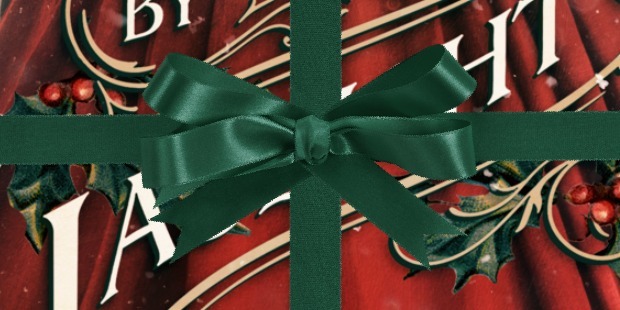 Today, I’m thrilled to be over at USA Today’s Happy Ever After blog with Joyce Lamb for the exclusive cover reveal of my new Victorian Christmas novella A Holiday By Gaslight. This gorgeous cover was designed by James Egan, the same brilliant designer who created the cover for The Matrimonial Advertisement. To see it, you can click through to the USA Today website HERE. I hope you’ll all stop by and have a look! A Holiday By Gaslight is a long novella (at 40,000-words it’s literally the longest a novella can be) set in London and Derbyshire during the Christmas season of 1861. It features a sweet, cross-class romance between a rather too serious tradesman and the sensible daughter of a spendthrift baronet. It will be out on November 13, 2018 and is now available for pre-order at the discounted price of $1.99. The price will go up to $2.99 closer to release. Don’t forget to add it to your Goodreads TBR list! Congratulations on your new release. It looks marvelous. That’s a gorgeous cover! Looking forward to reading this. Hi, Mimi, I was thrilled to see that your designer used one of my historical costume photos as the image for your cover. He’s done an amazing job of giving it a Christmas feel. Good luck with your novella. Kind regards, Kathy. It makes me very happy to read that, Mimi. Costume history has been my passion since childhood so, like you, I can’t bear inaccurate costumes. I’ll keep making costumes and images from various periods so people like us have lots to choose from.